Swirl and taste: Apple, lemon, lime, pear, strawberry, and cherry flavors with a pleasant yeastiness (like brioche baking) and earthy minerality. 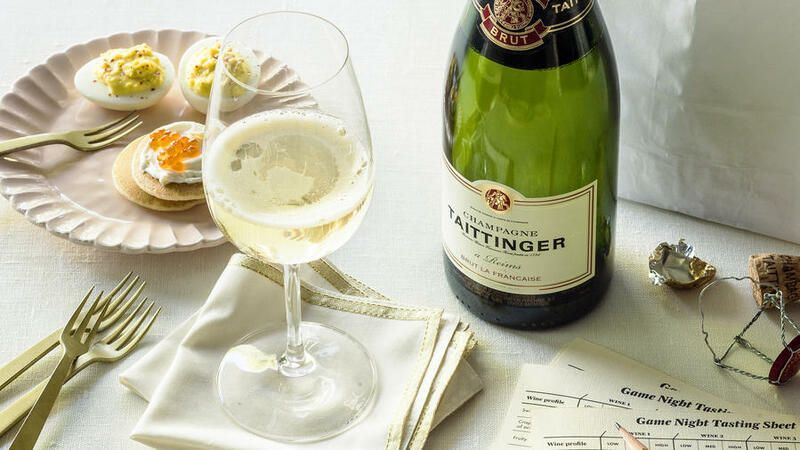 Bubbly’s great acidity makes it an excellent food wine (not just a sipper for celebrations). Find your style: Blanc de blancs is 100 percent Chardonnay and carries those flavors. A classic brut is a blend of Chardonnay and Pinot Noir. Blanc de Noirs is mostly Pinot Noir, tending toward the red fruit flavors. And sparkling rosé has just been left on those Pinot Noir skins a tiny bit longer, to pick up more color, texture, and flavor.